Humans aren't the only ones who've discovered the pure bliss of a nice, hot soak in a natural hot spring. 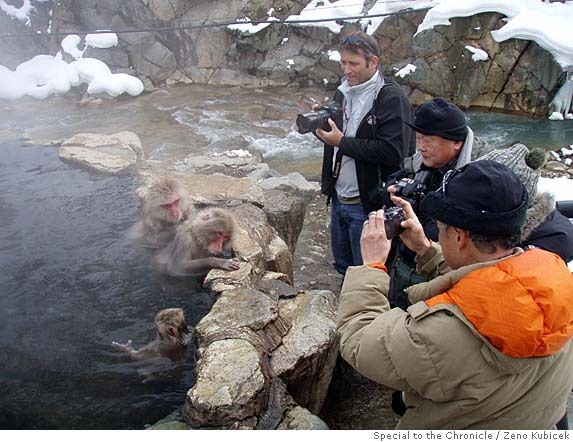 The length and breadth of Japan are dotted with hot springs thanks to the country's many volcanoes, and wild macaque monkeys (or "minkeys," as Inspector Clouseau would say) can be seen bathing in natural hot springs in places such as Nagano. Another example of hot-spring aficionados in Japan's animal kingdom are the famous hot-spring-bathing capybaras of Ito City. Movie-star monkeys pose for pictures. 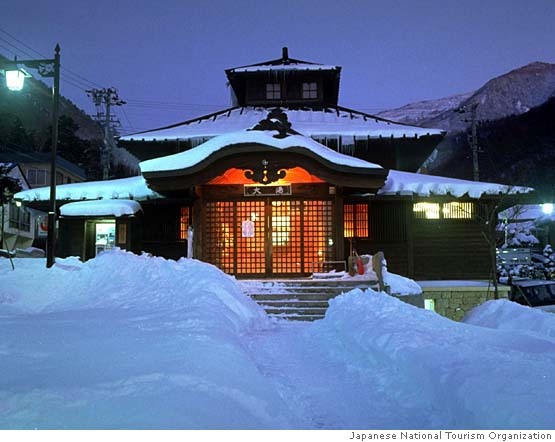 This hot-spring inn is for humans only.